Barton Biggs is a legend on Wall Street. Known for both his insights and his creativity as a writer and an observer of markets and the Wall Street scene, his opinions are very highly regarded, and he is considered one of the best brains in the business. 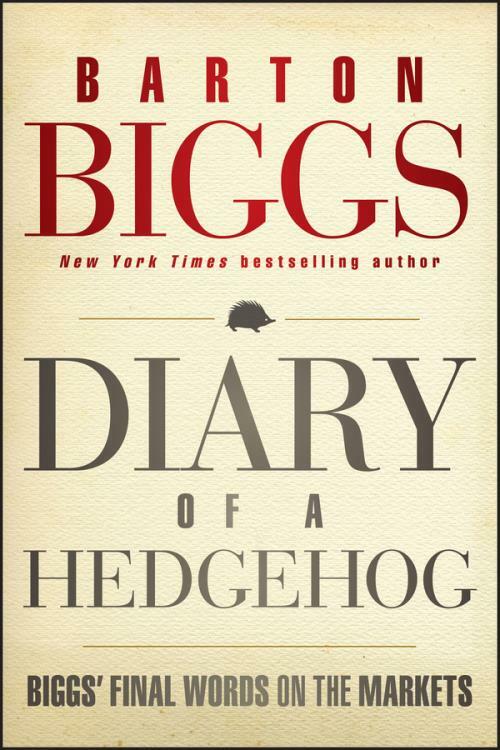 In Diary of a Hedgehog: Biggs′ Final Words on the Markets, he shares his insights into why the markets remain at this low level and offers his theories for the future. Drawn from his actual diary of recent events in this time of economic turbulence written in the heat of the moment, not retroactively this book addresses the downward economic spiral we have landed in within the last year and reveals Barton′s gut feelings on where we are headed. "Understanding the effect of emotion on your actions has never been more important than it is now," says Biggs. "In the midst of this great financial and economic crisis that grips the world, central banks are printing money in one form or another. This makes our investment world even more prone to bubbles and panics than it has been in the past. Either plague can kill you." But while offering dire warnings such as this, Biggs also provides readers with key advice on how to protect their assets and survive even the worst of times. With keen insight, global experience, and informed opinions on investing, this book showcases Biggs at his best, offering readers the inside scoop into what′s happening and where we go from here.